Accessing the Site, in any manner, whether automated or otherwise, constitutes use of the Site and your agreement to be bound by these Terms of Service. The Company reserves the right to change these Terms of Service or to impose new conditions on use of the Site, from time to time, in which case the Company will post the revised Terms of Service on this the Company website. By continuing to use the Site after the Company posts any such changes, you accept the Terms of Service, as modified. This Site is limited to use by natural persons over 18 years of age. If you are not the age of consent to a binding agreement, you are not authorized to visit or use this Site. If you access this Site on behalf of a Company or other legal entity, you represent and warrant you have the authority bind that Company to the Terms and Conditions as set forth in this Agreement. If any User of the Site falsifies any information they supply or uses fraudulent means to enroll as a member of the Site, Realopedia reserves the right to remove that person from the site, ban any further use of the Site by that person and prosecute to the fullest extent permitted by law. The Company shall request to all Registrants to provide a copy of their Professional Licence. This Trade License Copy shall remain on records with our company. The Company reserves the right to refuse any Registrant on non-compliance of the above. In case, the provided Trade License is expired, the Registrant must provide a valid updated license within one month from expiry of any provided Trade License. To use certain features of the Site, you will need a username and password, which you will receive through the Site’s registration process. You are responsible for maintaining the confidentiality of the password and account, and are responsible for all activities (whether by you or by others) that occur under your password or account. You agree to notify us immediately of any unauthorized use of your password or account or any other breach of security, and to ensure that you exit from your account at the end of each session. The Company cannot and will not be liable for any loss or damage arising from your failure to protect your password or account information. Deal with Us in Good Faith:By creating an Account, you agree that you are signing up for the Services in good faith, and that you mean to use them only for their intended purposes and for no other reason. No Endorsements: Company does not sponsor, endorse, recommend or approve of any real estate agent, broker, developer or other real estate service provider on this Site. While the Company try to confirm that participating real estate agents, brokers and other Real Estate service providers are licensed to perform their respective services, the Company cannot and do not represent or warrant that any real estate agent, broker or other Real Estate related service provider is licensed, qualified, or capable of performing any such services. Reference to any services, processes, or other information, by trade name, trademark, manufacturer, supplier, or otherwise does not constitute or imply endorsement, sponsorship or recommendation thereof by us. All non-Realopedia trademarks, registered trademarks, product names, service marks, trade secrets and logos appearing on our Site are the property of their respective owners. This Site and all the materials available on the Site are the property of us and/or our affiliates or licensors, and are protected by copyright, trademark, and other intellectual property laws. You may not use the Site or the materials available on the Site in a manner that constitutes an infringement of our rights or that has not been authorized by us. More specifically, unless explicitly authorized in these Terms or by the owner of the materials, you may not modify, copy, reproduce, republish, upload, post, transmit, translate, sell, create derivative works, exploit, or distribute in any manner or medium (including by email or other electronic means) any material from the Site. You may, however, from time to time, download and/or print one copy of individual pages of the Site for your personal use, provided that you keep intact all copyright and other proprietary notices. By posting or submitting any material (including, without limitation, comments, blog entries, photos and videos) to us via the Site, you are representing: (i) that you are the owner of the material, or are making your posting or submission with the express consent of the owner of the material; and (ii) that you are eighteen years of age or older. In addition, when you submit or post any material, you are granting us, and anyone authorized by us, a royalty-free, perpetual, irrevocable, non-exclusive, unrestricted, worldwide license to use, copy, modify, distribute, and/or publicly perform or display such material, in whole or in part, in any manner or medium, now known or hereafter developed, for any purpose. The foregoing grant shall include the right to exploit any proprietary rights in such posting or submission, including, but not limited to, rights under copyright, trademark, service mark or patent laws under any relevant jurisdiction. Also, in connection with the exercise of such rights, you grant us, and anyone authorized by us, the right to identify you as the author of any of your postings or submissions by name, email address or screen name, as the Company deem appropriate. Realopedia Does Not Own Real Estate Source Images: Company does not own or assert copyright ownership or grant any rights to the underlying images or descriptions of real estate listings that may be contained in the search results or provided by third party sources or users or owners. Any use of the source images or descriptions is subject to the copyright owner's permission and/or the requirements of applicable law. Realopedia Does NOT transact Real Estate business on the Site: Company warrants and confirms that it is the supplier of the Company web-based platform for Real Estate agents, developers, real estate service providers and brokers. Company does NOT engage in real estate transactions of any kind on the Site. Limitations on Sublicensing, Linking and Framing. You may not: (i) copy, modify or create derivative works based on this Site; (ii) distribute, transfer, sublicense, lease, lend or rent the Site to any third party; (iii) reverse engineer, decompile or disassemble the Site (except to the extent specifically permitted by applicable law; or (iv) make the functionality of the Services available to multiple users through any means. Throughout the Site, the Company may provide links and pointers to Internet sites maintained by third parties (Third-Party Materials). Our linking to such third-party sites does not imply an endorsement or sponsorship of such sites, or the information, or services offered on or through the sites. In addition, neither the Company nor affiliates operate or control in any respect any information, products or services that third parties may provide on or through the Site or on the Company websites linked to by us on the Site. If applicable, any opinions, advice, statements, services, offers, or other information or user content expressed or made available by third parties, including information providers and account holders (User Content), are those of the respective authors or distributors, and not COMPANY. Neither COMPANY nor any third-party provider of information guarantees the accuracy, completeness, or usefulness of any content. Furthermore, COMPANY neither endorses nor is responsible for the accuracy and reliability of any opinion, advice, or statement made on any portion of the Site by anyone other than an authorized COMPANY representative while acting in his/her official capacity. Furthermore, your interactivities with any Third-Party Materials including entering contract, will not be governed by our Terms and Conditions. Company does not assume liability for any User Content including but not limited to, links, postings and all other information. THE INFORMATION AND SERVICES OFFERED ON OR THROUGH THE SITE AND BY COMPANY AND ANY THIRD-PARTY SITES ARE PROVIDED “AS IS” AND WITHOUT WARRANTIES OF ANY KIND EITHER EXPRESS OR IMPLIED. TO THE FULLEST EXTENT PERMISSIBLE PURSUANT TO APPLICABLE LAW, THE COMPANY DISCLAIM ALL WARRANTIES, EXPRESS OR IMPLIED, INCLUDING, BUT NOT LIMITED TO, IMPLIED WARRANTIES OF MERCHANTABILITY AND FITNESS FOR A PARTICULAR PURPOSE. THE COMPANY DOES NOT WARRANT THAT THE SITE OR ANY OF ITS FUNCTIONS WILL BE UNINTERRUPTED OR ERROR-FREE, THAT DEFECTS WILL BE CORRECTED, OR THAT ANY PART OF THIS SITE, INCLUDING BULLETIN BOARDS, OR THE SERVERS THAT MAKE IT AVAILABLE, ARE FREE OF VIRUSES OR OTHER HARMFUL COMPONENTS. THE COMPANY DOES NOT WARRANT OR MAKE ANY REPRESENTATIONS REGARDING THE USE OR THE RESULTS OF THE USE OF THE SITE OR MATERIALS ON THIS SITE OR ON THIRD-PARTY SITES IN TERMS OF THEIR CORRECTNESS, ACCURACY, TIMELINESS, RELIABILITY OR OTHERWISE. How can I be sure that my personal information is safe? We use a secure Secure Sockets Layer (“SSL”) server and your data will be saved in a cloud server. What is a SSL server? A SSL server is the standard security technology for establishing an encrypted link between a web server and a browser.  This link ensures that all data passed between the web server and browsers remain private and integral. Where does Realopedia store the information it collects? The information is stored in a cloud server. What information are you collecting from me? How can I opt-out of communications from you? All of the newsletters or emails that are sent to you by this Site include an unsubscribe link in them. You can remove yourself at any time from our newsletters or mailing list by clicking on the unsubscribe link. How do you use the information that you store? We use the information to customize your user-experience, provide and improve our Services, manage our customer relationship and provide you with customer support, process payments, help you find the most relevant information by customizing our Services and optimizing your experience, develop and deliver targeted advertising, analyze the effectiveness of our advertising or Services, communicate with you via email and websites and update you with residential real estate-related news and information or to tell you about products or services that may be of interest to you. The profile of the members is used to verify that all members are legal and licensed. Who owns the photos on the site? The members own the photos they upload and are responsible for the source of the photos. We do not own or assert copyright ownership or grant any rights to the underlying images or descriptions of real estate listings that may be contained in the search results or provided by third party sources or users or owners. Any use of the source images or descriptions is subject to the copyright owner's permission and/or the requirements of applicable law. What do I do if someone is harassing me on the site? What do I do if I see someone stole my Intellectual property on the site? If you believe in good faith that materials hosted by COMPANY infringe your copyright, you, or your agent may send to us a message requesting that the material be removed or access to it be blocked at support@realopedia.com. Do you endorse the service professionals on your site? We do not sponsor, endorse, recommend or approve of any agent, broker company, developer or other home-related industry specialist on this Site. How do I know that the information and listings for each person is accurate? Memberships are accepted based on the professional/trade license number. We ask members to provide their agent number, professional organization affiliations, contact person, company name, email, business address, country, state (if applicable), office number, company profile and company logo. While we try to confirm that participating agents, broker companies and other coporate affiliates are licensed to perform their respective services, we cannot and do not represent or warrant that any agent, broker company or other industry specialist is licensed, qualified, or capable of performing any such services. I did not supply and false or fraudulent statements during my registration. To provide true, accurate, current and complete information about yourself as prompted by the Site’s registration form. I own all the listings, photos and intellectual property or I have permission from the right’s holder to that information. To operate their account in accord with the highest standards of ethical conduct. Not engage in any professional conduct involving dishonesty, fraud, or deceit or commit any act that reflects adversely on their professional reputation, integrity, or competence. Act with integrity, competence, diligence, respect and in an ethical manner with Company, members, clients, prospective clients and colleagues. Use reasonable care and exercise independent professional judgment when engaging in professional activities. Practice and encourage others to practice in a professional and ethical manner. Fully comply with all laws and regulations in my country as governed by the rules of my profession. Not to engage in any discussions regarding politics or disclose my own political affiliation on the Site. Understand that any violation of this Code will result in immediate removal and revocation (and permanent ban)of membership benefits and prevention of future use and access to this site and its features. I understand that if I provide any fraudulent information, falsify any documentation or misrepresent myself in any way, Realopedia reserves the right to seek prosecution to the fullest extent permitted by law. Neither Realopedia nor our affiliates, agents, executors, employees, owners or directors operate or control in any respect any information, products or services that third parties may provide on or through the site or on websites linked to by us on the site. Any opinions, advice, statements, services, offers, or other information or user content expressed or made available by third parties, including information providers and account holders, are those of the respective authors or distributors, and not Realopedia. Neither Realopedia nor any third-party provider of information guarantees the accuracy, completeness, or usefulness of any content. By your continued use of the Site you irrevocable agree and understand if you or any other user falsifies any information they supply or uses fraudulent means to enroll as a member, Realopedia reserves the right to remove that you or that person from the site, ban any further use of the site and prosecute that person to the fullest extent permitted by law. In addition, you agree to be financially responsible for all purchases made by you or someone acting on your behalf through the site. You also agree not to make any purchases for speculative, false or fraudulent purposes or for the purpose of anticipating demand for a particular product or service. You agree to only purchase goods or services for yourself or for another person for whom you are legally permitted to do so. Your participation, correspondence or business dealings with any third party found on or through our site, regarding payment and delivery of specific goods and services, and any other terms, conditions, representations or warranties associated with such dealings, are solely between you and such third party. 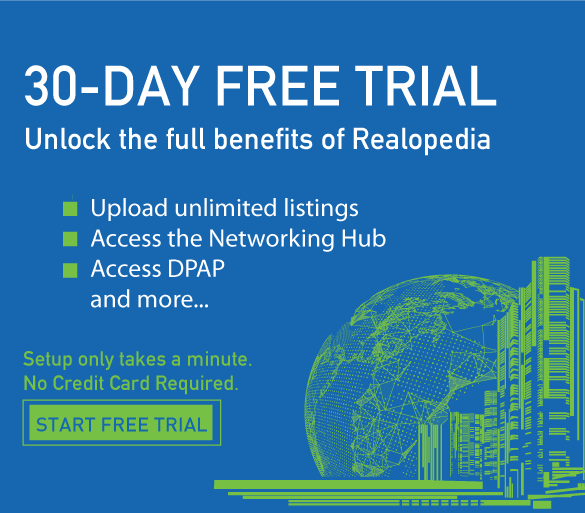 Realopedia does not assume liability for any user content including but not limited to, links, postings and any all other information supplied by or posted by any user. You release us and our affiliates, agents, employees, owners, directors and executors from any damages that you incur, and agree not to assert any claims against us or them, arising from your purchase or use of any products or services made available by third parties through the site. You agree that Realopedia shall not be responsible or liable for any loss, damage incurred as the result of such dealings. Right to seek prosecution to the fullest extent permitted by law.